This morning my Grandma passed away. I love her very much and am grateful that I have many memories of her as an active, beautiful woman. One of the traditions my grandparents began was having a formal family portrait taken around their anniversary, December 26. Usually we took the pictures at home via tripod & self-timer, but the picture above is a section from our family portrait done in a professional photo studio one year. 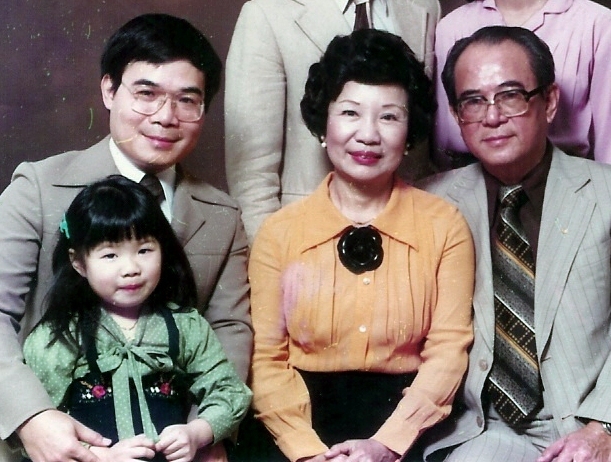 I think I’m about 4 years old in this picture and I’m in my Dad’s lap, sitting next to my Grandma & Grandpa. I still remember that night vividly. I especially remember how fascinated I was when the photographer came around with the light meter and I kept asking what he was doing with it. I can’t believe the three people in this picture with me have all passed away. The jozjozjoz.com archives for August, 2008.